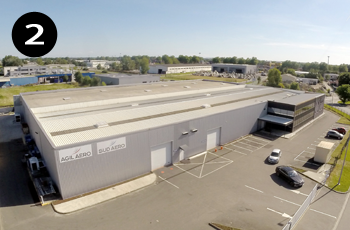 Based in the heart of the aerospace region around Toulouse, the SUD AERO Group has 4 specialised, complementary production sites, providing a total surface area of more than 13,000m². The Group’s 4 production units are located within a 5km radius of each other and this proximity enables us to fully optimise production flows. This in-house expertise in each profession linked to the manufacturing of sub-assemblies enables the SUD AERO Group to meet every requirement of aerospace contractors, from the development of parts to mass production. 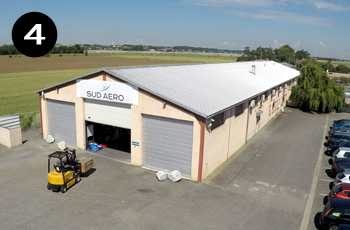 SUD AERO is constantly seeking to innovate in its field and has recently built a new production site in Saint-Alban (France). 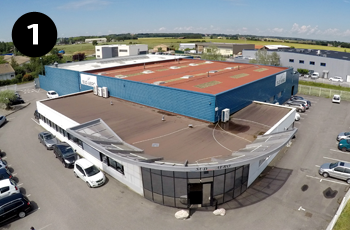 Thanks to the automation of our production facilities for machining mass-produced parts, SUD AERO provides high quality products with production costs adapted to the customer’s needs. 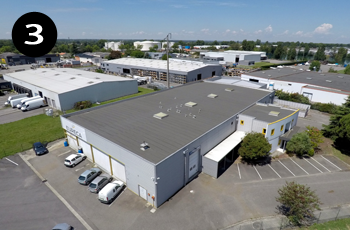 In 2016, with the acquisition of 8 new automatic 5-axis machining centres with pallet changers, SUD AERO continued to optimise all its production costs.